We decided to visit Hoi-an following a recommendation from my sister. 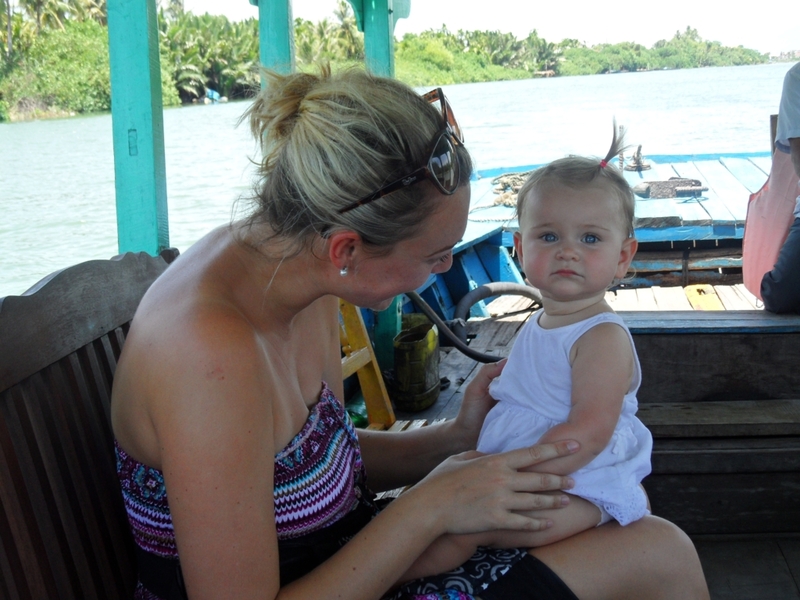 We asked her to keep an eye out whilst she was there to see if it was suitable to visit Hoi-an, Vietnam with a baby. After her glowing feedback, we decided to incorporate a four day stop on our trip. The fact we ended up staying two weeks in Hoi-an alone will give you a good indication of how much we fell in love with it! We initially arrived into Danang Airport from Ho Chi Minh on an affordable Vietnam Airlines flight. Hoi-an is one of the most beautiful ancient town with a fusion of architectural influences from places such as France and Japan. It is well documented that it’s one of the most well preserved South-East Asian towns dating back to the 15th century. The buildings are a photographers haven with crumbly paint, shabby-chic wooden shutters for windows, fuchsia pink flowers hanging from the roof and of course the lanterns. Hoi-an is also known as the ‘city of lanterns’. Every second shop has the most incredible selection of colours and shapes. In the doorway you will find the owner beavering away making new lanterns from scratch. It is seriously one of the most colourful and vibrant places I have ever been to! The main part of the town is around fifteen minutes in-land and is centralised around a river which is very much the hub of life in Hoi-an. Some of the streets are for pedestrians and bicycles only, making it a very safe place to be with a baby. The food markets are buzzing with culture and Vietnamese traditions. I don’t think anyone will give you a bad report about Hoi-an. In my usual format of eat, sleep and play here are all of our favourite picks! One of my favourite things about Vietnam is the food. It is one of the few places that consistently use fresh, raw ingredients. An abundance of fresh herbs such as mint and coriander are used in many of the dishes. One of the locals told me when they are away from home, the thing they miss the most is the fresh herbs in their food. Some of my favourite meals were the cold summer rolls, aubergine bake and of course the notorious Po! 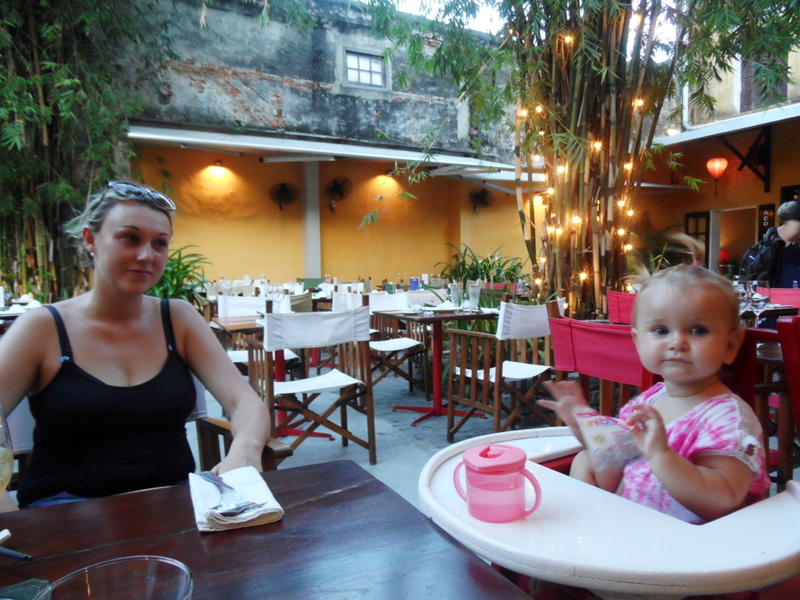 There were plenty of food options for our daughter Esmé who was ten-months old when we visited Hoi-an. She LOVED the local dish of Cao Lao noodles. Being a very fussy little girl, we were delighted to find something she would eat. The only problem was when we left she was asking for Cao Lao. We visited the market daily and picked up bananas, avocados and mangos which she generally had as snacks or lunch. Our hotel had lots of options for breakfast with cereals and pastries. There are an abundance of restaurants and cafes in Hoi-an. After staying there for two weeks, we had a good chance to sample many of them. There are many things that you must try so my best advice is to avoid the Trip Advisor ‘top rated’ restaurants. They are overcrowded and too busy to offer great service. 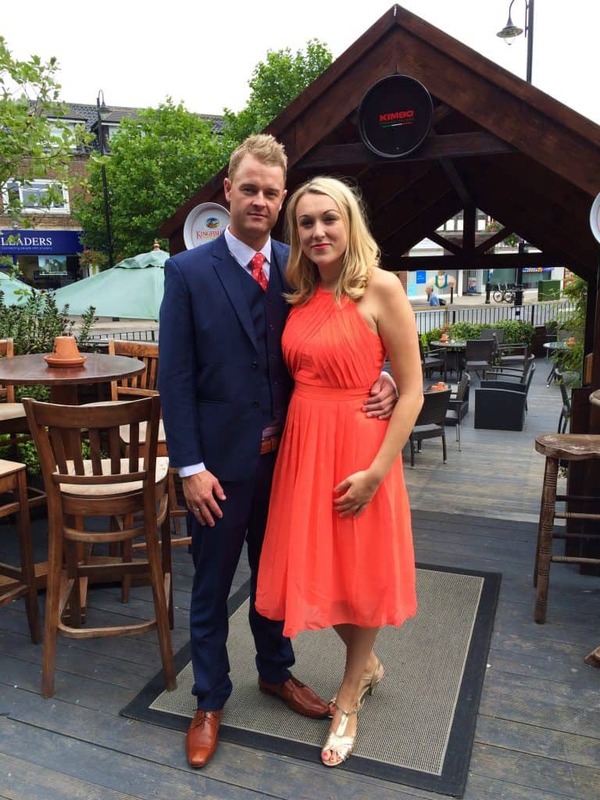 Our favourites were friendly, accommodating with a baby and had excellent food! This is one of the first ever restaurants established in Hoi-an. It is owned by a lady named Ms. Vy who runs a number of other restaurants around town. She also holds cooking classes as an activity. Based on a nice street at the edge of town, it is usually fairly busy later on in the evening. We went early evening so they could accommodate us with a buggy. The food is delicious and is extremely reasonable. The story of how the restaurant came about is really inspiring and can be read on the first page of every menu. Hai Cafe is probably one of the ‘posher’ restaurants in Hoi-an. 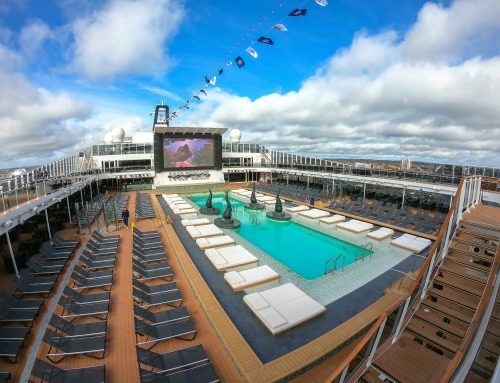 It has a large outdoor terraced area. There are plenty of fans keeping punters cool during hotter weather. They have high chairs and plenty of space to facilitate a buggy. We kept going back for the aubergine curry. It was so good. If you have ever travelled through SE Asia, you will know wine is something hard to come by. The wine in Hai isn’t too shabby! My daily ritual was visiting Hoi-an Roastery for a soya iced coffee. We sat in the courtyard every morning sipping on our cold caffeine. It was like a little slice of home without having to go to Starbucks. I highly recommend getting some coffee beans here to take home. The coffee is soooo good! We stayed at the fabulous Phu Thinh Resort & Spa for our time in Hoi-an. It was a ten minute walk from town or a couple of minutes cycling They offer all residence free bike rentals which was a great way of exploring! We were pampered from the moment we arrived with a cold face cloth to freshen up and an iced juice. Within the hotel, there was a large outdoor swimming pool which our daughter loved. It was a welcomed escape from the scorching hot temperatures. There is also a spa where all guests were given a complimentary thirty minute treatment. We took turns having ours. It’s always good to have some ‘me’ time when travelling with a baby. The food was great and they also had many western dishes which could be handy if little ones aren’t keen on Vietnamese cuisine. They were always very accommodating with Esmé and made some things for her that weren’t on the menu. The rooms were beautiful with amazing wood carvings on the bedposts. There were towel animals and petals on our bed when we returned every evening. They also left bed time stories on scrolls. It was a little over kill on paper but a nice gesture all the same. You can always rate a good hotel on your willingness to stay there in the future. I would definitely stay at Phu Thinh if we visit Hoi-an again. There is something for everyone to do in Hoi-an from learning about its history to adventure or relaxation. Here were some of our favourites with a baby in mind. There are so many lovely massage parlours in Hoi-an. We were quite often opportunistic. If we happened to be walking past and baby had just fallen asleep we went and had a foot massage together! It was heaven. They are also extremely well priced making it possible to have a cheeky massage daily! We walked down to the river one afternoon and were approached by a local asking us if we wanted to go on a boat trip up river. We politely accepted his offer and didn’t regret it. He had a big boat and we had it all to ourselves. Cruising through Hoi-an centre we saw many floating markets and also how Vietnamese people live. Once we got out of the central part we began to see fishermen netting. When the fisherman realised we were interested in what he was doing, he jumped onto our boat to teach my husband. We felt so privileged he would do that. Of course when he asked us for money afterwards we realised a lot of tourists probably get tricked into it. However as he was so nice, we didn’t mind! Hoi-an is definitely a city to be explored by bike. There are many guided tours that are available. However I was quite happy exploring by ourselves so I could dip in and out of shade as necessary with Esmé. She was too small for a bike seat so I put her on my back. I felt safe doing this on the pedestrian only streets. 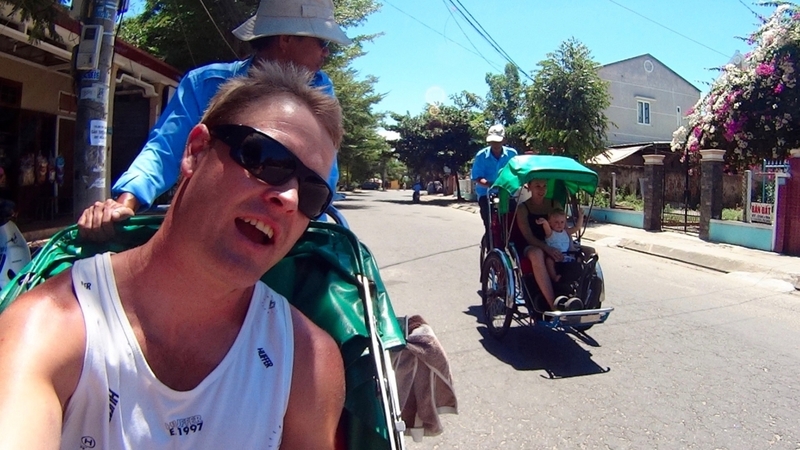 If you prefer someone else to do the leg work, there is an option to explore on the bicycle tuk tuks. They have shade, however they can be a little pricey for short distances. Visiting Hoi An as part of a larger Vietnam trip? 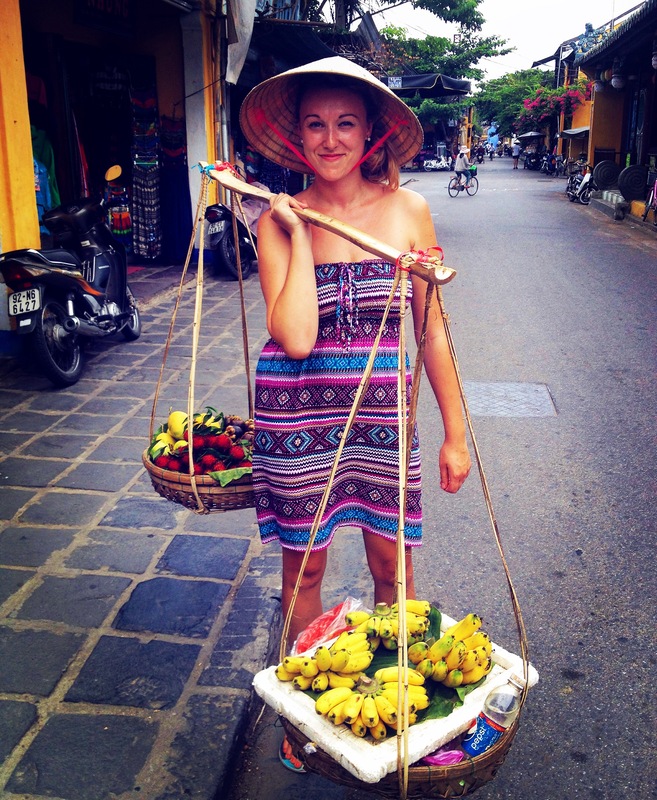 Here’s a one month Vietnam itinerary! There are many restaurants as well as hotels that run Vietnamese cookery classes. This is not something I indulged in but I really wanted to. I used my half an hour ‘time out’ for massages and swims. The only problem with the cookery lessons is they are at specific times which can be difficult to coordinate around a baby but totally possible. We had a mens three-piece suit, several pairs of shoes and a dress made whilst we were on the Vietnam trip. I usually hate shopping but it was a whole new experience walking into a shop and telling them what I wanted. I wrote another article with tips on having clothes tailor-made in Vietnam which can be found here. There are several markets around Hoi-an from food to clothes and knick knacks. The food market is an experience not to be missed, however be aware it does have a bit of an aroma to it! I bought oodles of Asian print hareem pants for Esmé and I. Hareem pants on a baby are the most adorable outfit! We sent lots of pretty bowls made from coconuts, lanterns and other Vietnamese paraphernalia home to the UK. By night the lantern markets on the North side of the river are incredible. There is so much colour and vibrancy. In the same area there are a number of stalls serving street food which my husband really loved. The river comes alive at night. Many of the local women sell floating lanterns with tea light candles. They are lit and lowered down into the water to float away into the night. Although it is a really magical, I do wonder where it all ends up and if someone cleans it all up? The beautiful temples around Hoi-an are incredible and make for a nice stroll around. There are a few dotted around but my personal favourite is the Quan Cong temple which is quite central. When we initially decided we were going to extend our time in Hoi-an we thought we may move to nearby An Bang Beach to escape the city. We spent an afternoon there and decided we loved the centre much more. It was nice to get to the beach for a while, but it was nothing special (this is coming from a beach lover). When you drive into the area, many locals are out on the street trying to offer you sun chairs at their establishment. They are reasonably priced, as is their food and drink menu. As mentioned it was nice for an afternoon but I wouldn’t want to stay there much longer. 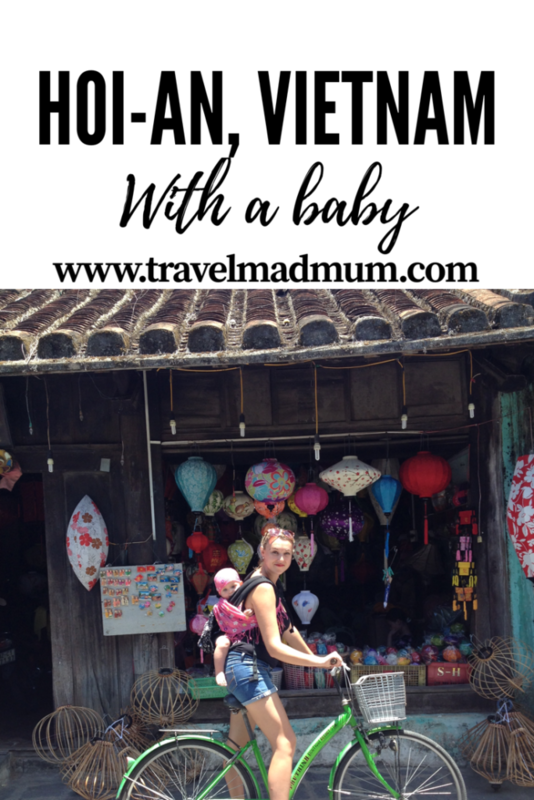 Have you been to Hoi-an, Vietnam with a baby? Make sure to leave a comment sharing your experience. Maybe you are thinking of going? I am always happy to answer questions! 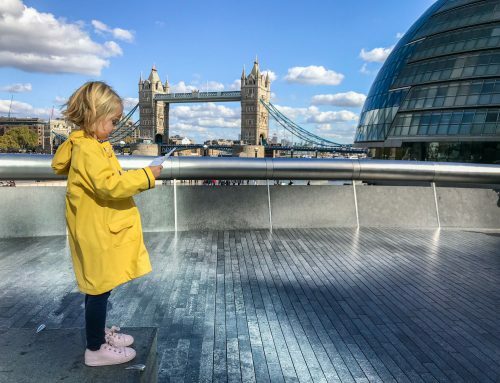 Thanks for writing about your trip, it’s good to know that long-distance trips are totally achievable with a little one. Sounds like a magical place. Looks like a great place place to visit, something to put on the list for the future for sure! Thanks so much for sharing your experience with us. We have just started organised our hoidays in Cambodia and Vietna with our little one. We are planning to go in October and he will be 14 months at the time. We are super excited! I will come back here to tell if ebverything went well. We went to Vietnam for our “babymoon” back in April 2015 and absolutely loved all of it, but Hoi An was definitely our favourite. I remember thinking that it would be a good place to travel with a baby. This article brought back lots of good memories 🙂 PS I love the dress you had made! Hoi-An is one of my destinations for Vietnam in the following months, a nice coastal town with nice beaches. Also, I have so many ideas for clothes for when I’ll get there. I don’t think 7 days will be enough. It’s incredible to see you go there your baby. 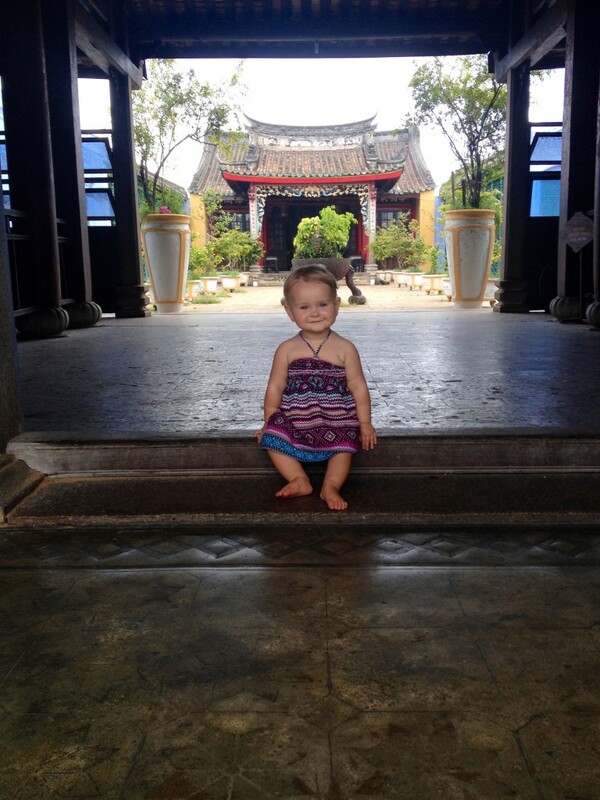 We’re headed to Hoi An soon with a 15-month old. Do you happen to know of any businesses that rent pack n’ plays, or other baby items? 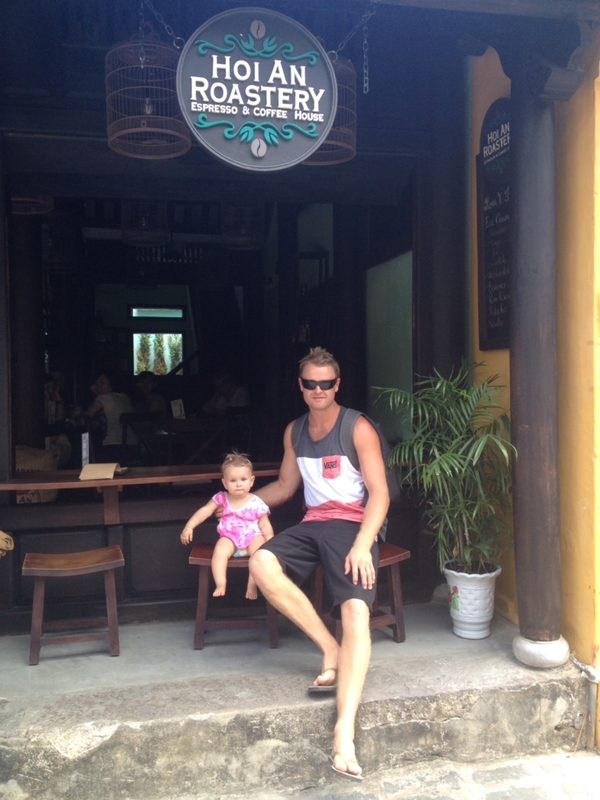 Thanks for writing about Hoi An with a baby! It was really helpfull! I am going there in 2 weeks for 14 days. I have a question – how is the selection of diapers, infant formula etc.? Hi, we’re looking at goingbto Hoi an later this year with our boy who will be 8months when we go. Just wondering how you got around when it was too far to walk. To and from air port for example? Any taxis with child seats or busses? Hi there, We just returned from a two week trip to Vietnam. We began our trip with a 5 day stay in Hoi An which was the perfect place to begin the trip. Your blog was very helpful in giving us that final push to decide to join my husband on a work trip with our 15-month-old daughter. Thank you for the tips, the helpful information and for making your description so colourful and fun that there was no way we could have said no to going. Hi i was just wondering how you guys got around with the baby from city to city and from the airport to another city. Did you bring a car seat? Thank you and much appreciated. 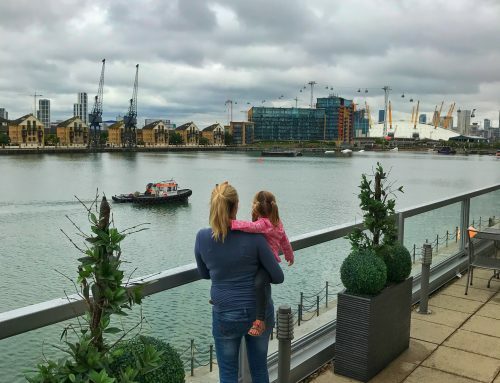 Hey Karen, thanks for the insightful article 🙂 We are heading to vietnam in a couple of months with our 2.5 yr old and 6 month old. Just wondering how you went with breastfeeding in public when out on day trips? We have been to Taiwan, Sri Lanka and Thailand and it was okay to feed in public (if covered), but I am reading mixed reviews about Vietnam. Did you need travel vaccinations for your trips? We are looking to take our boy who will be 9 months at the time to Vietnam, Cambodia and Bali. Im struggling to get confirmation of what is safe for a baby to have as a travel vaccination. Thanks in advance. Hi Karen, thanks for sharing your experience! Looks great! My wife and son are also planning to go to Vietnam in May this year, the little one will be 10 months. I was wondering if it’s worth to bring our baby stroller with us (on the plane), or if a good baby carrier (backpack like) will do? And also, what about a baby bed? Do you have any advice? It tends to be easier if you are moving around then dragging a buggy. It does depend where you are going and how comfortable your carrier is. The baby bed depends on where you are staying. On some of our extended trips we brought along this travel cot because the places we were staying would charge for a cot so you can check with the hotels or decide for yourself what’s convenient! 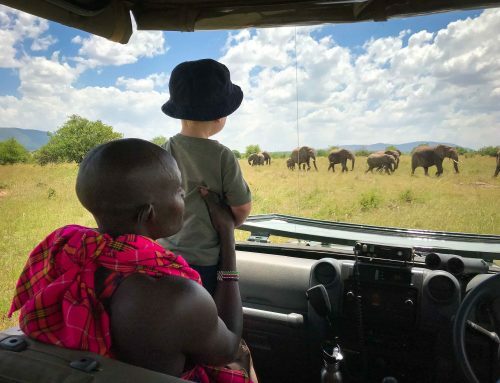 https://travelmadmum.com/koo-di-pop-up-travel-cot/ Enjoy your trip! 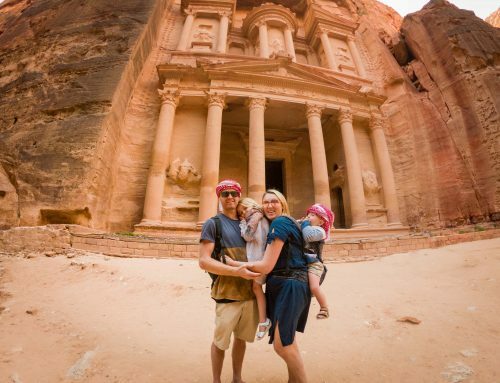 Thanks so much for writing about your trip, we have a 11 month old baby. Did you get shots for your before you went? We were told she was to young.. i see your had fresh veggies there and she was ok?